Recently, a video of a Chinese police officer attacking a Muslim man surfaced on the internet, sparking conversation and concern about the government’s attitude towards not only Muslims, but broader values like freedom of religion and speech. However, the video was only a small glimpse into China’s current treatment of the Chinese Muslim community. In mid-December, several provinces removed halal food standards, restricting the type of food available to Muslims in China. Mosques across the country have either been shut down or forced to renovate into a Chinese style, prominently incorporating pictures of Xi Jinping and Marxist statements into the worship space. The driving force behind these changes is Chen Quanguo, the Communist Party Secretary in Xinjiang and loyalist of President Xi Jinping. In addition to food limitations and mosque remodeling, he enacted a ban on “abnormal” beards for men, placed limits on pilgrimages to Mecca, and installed a strict surveillance apparatus. His policy changes have targeted approximately 20 million Muslim people in the country – but more specifically, up to 1.1 million people who are believed to be held in internment camps for “vocational training” purposes. These internment camps, branded as “vocational training centres” by the Chinese government, have come under much public scrutiny. While disguised under the facade of “rescuing ignorant, backward, and poor rural minorities” through educational programs, the camps mimic conditions seen in Nazi concentration camps. Interviews with detainees and former inmates have revealed harrowing circumstances, such as inmates being shackled to chairs for days during the interrogative period, cameras and microphones monitoring movement and speech, and intense political indoctrination. Public information about these camps is scarce – The Chinese government refuses to share honest information about these “training centres” and police block journalists and foreigners from entering the camps. Although the Chinese government maintains the narrative that the internment camps serve to provide job training and smooth transitions into the workforce, forced labor, torture, death, and separation from parents are constants in the painful stories of former inmates. China’s response to global concern for the camps and its inmates has been riddled with denial and ignorance. This past September, a Chinese official at the U.N. Human Rights Council in Geneva confidently stated that the West could learn from his country’s way of vocational training, retorting that “if [indoctrination camps are not] the best way, maybe it’s the necessary way to deal with Islamic religious extremism, because the West has failed in doing so.” Chinese officials continue to dismiss claims of the internment camps’ poor conditions, instead preaching about how grateful inmates are to have been sent to the vocational education centers. 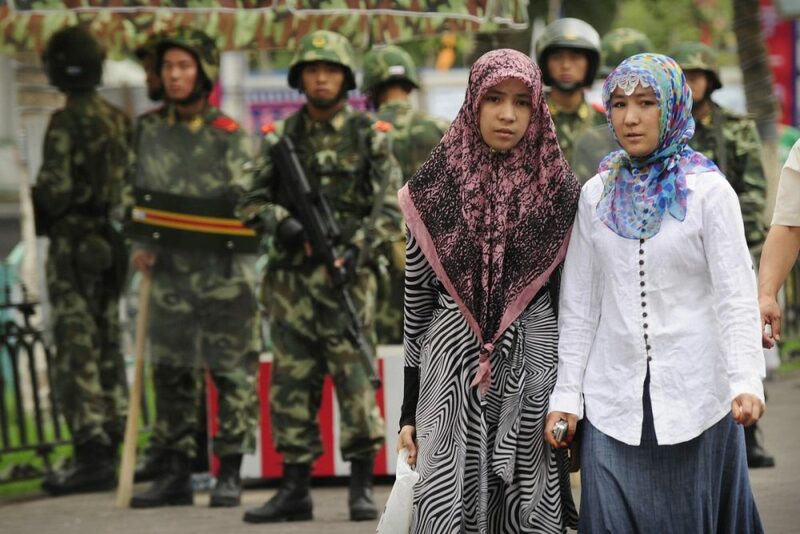 Growing Islamophobia in China has erupted in the last 4 years, especially with the adoption of a totalitarian regime in Xinjiang. Although all religions are heavily controlled in China, the government is particularly hostile towards Islam, which is seen as inherently extremist following the highly publicized Uighur terrorist attack of 2014. With the rapid expansion of the camp network, global leaders like the U.S. must be more active in keeping China accountable for its inhumane acts. Washington took a critical step this past year with the Uighur Human Rights Policy Act of 2018, which was drafted by bipartisan sponsors and calls for creating a U.S. special coordinator for Xinjiang to respond to the crisis. The Act also places sanctions on specific Chinese officials responsible for the human rights violations, heightening accountability. However, the U.S. can and must to do more, such as actively partake in meetings with Mr. Chen Quanguo and guard against buying goods made by workers from the camps. Moreover, the Muslim world must voice their opposition to this treatment. Only a few Muslim leaders have voiced concerns about the camps, such as Malaysian politician Anwar Ibrahim and Pakistan’s Minister of Religion. It is possible that this muted response comes from a fear of retaliation; the Chinese are a powerful anti-American ally, and their Belt and Road Initiative offers economic stability to Eastern and African peoples. But human rights violations are intolerable, and the persecution of Chinese Muslims only normalizes the repression of dissent. If Muslim leaders truly want their countries to be engaged in the international arena, they must recognize China’s governmental shortcomings and act to condemn the violation of rights.